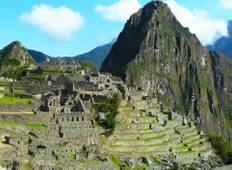 Explore a wide diversity of tours through Inca Trail. We have 29 tours that vary from 3 days to 12 days. With the greatest number of departures in November, this is also the most popular time of the year. "Really good tour, highly recommend!" "Well planned and executed. Amazing scenery, food and company. 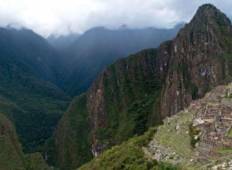 We were with people..."
"Simply the best Inca Trail tour. We were extremely fortunate to have one of the most..."
"Better food - more substance .Tour was very organized. Scheduling and logistics excellent..."
"Our Inkayni tour included 8 people who knew each other well and 2 additional people..."
"Could not asked for a better guide Eder was so knowledgeable and happy. This trip..."
"This was unlike any trip I had ever taken before. I learned an incredible amount..."
"Although the porters were happy and not expressing any other needs. I´d say that..."
"“The Best Experience” - We did the Inca Trail. Everything was well organized...."
"Amazing !!! It was more than expected the whole Valencia team went above and beyond..."